Kawai Baby Grand Piano. 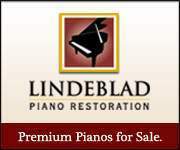 Previously owned and cared for by an award-winning pianist. Pristine condition. Kawai is the new international piano of choice selected by top prize winners in piano competitions worldwide. Featuring ABS-Carbon, the Millennium III action of the Kawai GM-12 baby grand piano is both tremendously faster and stronger than a conventional action. Together with the micro-engineering technology, it offers extraordinary responsiveness, power, and superb control for the player. 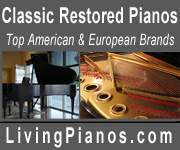 This GM-12 piano has been maintained with extreme care by an award-winning pianist and thereby kept at its optimum condition. It was tuned twice a year by Kawai-certified technician, and recently serviced and regulated before putting on sale. This GM-12 piano comes with 10-year warranty, slow-close lid, adjustable artist piano bench, key cover, and additional accessories.